Five stage filtration system. Filters up to 525 gallons an hour.. 9-watt uv sterilizer.. Contains four flexible media trays that allow you to add the media of your choice.. 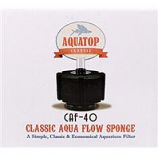 Suitable for tanks up to 175 gallons.. Includes four fine filter pads (white) and a single coarse filter sponge (blue).. Replacement fine filter pads bci# 003460 and course filter sponge bci# 003457. Patent pending one-pump prime button. Includes replaceable carbon cartridge and additional media. Capacity: 60-90 gallons. . .
Four stage filtration system. 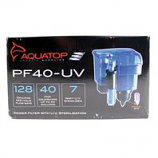 Filters up to 370 gallons an hour.. 9-watt uv sterilizer.. 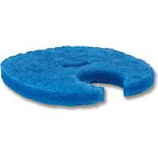 Contains three flexible media trays that allow you to add the media of your choice.. 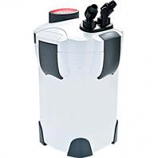 Suitable for tanks 75 to 125 gallons.. Includes three fine filter pads (white) and a single coarse filter sponge (blue).. Replacement fine filer pads bci# 003459 and course filter sponge bci# 003456. Mechanical Chemical and Biological Filtration included. Super Quiet Operation. Large filtration media chamber. 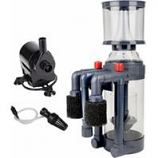 Suitable for both freshwater and saltwater. .
Three stage filtration system. 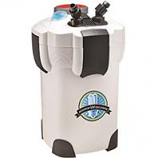 Filters up to 264 gallons an hour.. Three flexible media trays allow you to add the filtration media of your choice.. Includes a convenient self priming pump that eliminates the need for manual siphoning.. 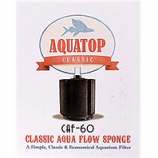 Suitable for fresh water or salt water tanks 20 gallon to 75 gallons.. Includes three fine filter pads (white) and a single coarse filter sponge (blue).. Replacement fine filter pads bci #003458 and course filter sponge bci# 003455. Patent pending one-pump prime button. Includes replaceable carbon cartridge and additional media. Capacity: 125-175 gallons. . . Capable of filtering up to 128 gph with adjustable flow rate.. Built in self adjusting surface skimmer for cleaning the water surface and promoting gas exchange.. 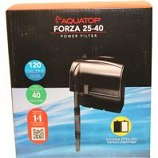 Requires no extra plumbing.. Uv sterilizer helps eliminate unwanted algae blooms and free floating parasites.. Includes replaceable filter pad enhanced with aquatops bamboo carbon.. 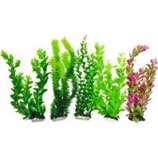 Suitable for fresh water and salt water aquariums up to 40 gallons. Patent pending one-pump prime button. 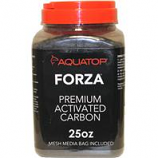 Includes replaceable carbon cartridge and additional media. Capacity: 60-125 gallons. . .
High capacity and adjustable dual outlet. Removable collection cap. Variable mounting in sump/hangon. All accessories included. . Mechanical Chemical and Biological Filtration included. Super Quiet Operation. Large filtration media chamber. Suitable for both freshwater and saltwater. Surface skimmer included. 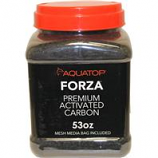 Fits fz6 and fz13uv forza canister filters. It is recommended that you change the filter pads every 4 to 6 weeks.. . . .
Increases surface agitation and water oxygenation. 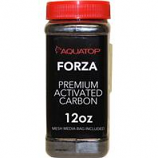 Helps release carbon dioxide build up. For use in all aquariums. 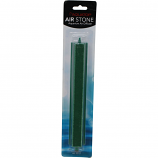 . .
A simple classic and economical aquarium filter.. Install with an air pump or powerhead.. Suitable for high flow rates without clogging.. Less maintenance than traditional filters.. Easy and fast to clean.. Longer lasting and more durable. 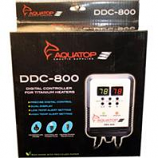 With a highly visible dual digital LED display the DDC-800 includes adjustable high and low temperature settings with audio. Utilizes heavy-duty three-prong receptacles and offers overheating protection. Can be used with any heater for insuring precise measurement. 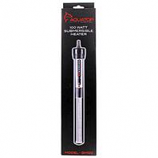 It offers precise control to ensure stable water temperatures f. . . 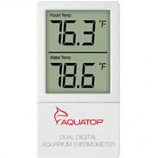 Allows you to easily monitor your aquariums water temperature & ambient room temperature with a large dual lcd display. Sleek compact design provides for non-obstructive placement. Accurate to +/- 2 degrees fahrenheit and must be mounted externally.. Adhesive backed for easy installation. Includes x 1 (ag13) 1.5v battery. 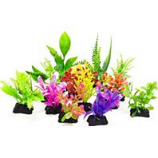 Replicates exotic plant life from around the world. Creates a colorful underwater scenery. Serves as a natural focal point in your tank. Mix and match with other plants. .
Pelletized to ensure maximum surface area for adsorption. 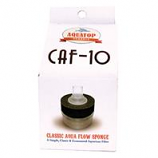 Removes unsightly discoloration odors and impurities from aquarium water. 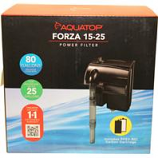 Ideal for both freshwater and saltwater filters. Includes reusable mesh bag. . Biological filtration media that promotes beneficial bacteria growth. Made of long lasting highly porous quartz material. Aids in the breakdown and removal of harmful ammonia and nitrate. 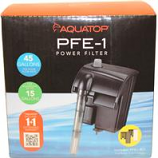 Ideal for both freshwater and saltwater filters. Includes reusable mesh bag. 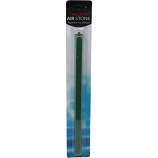 Fully submersible glass heater offers simple and easy installation with use of suction cups.. 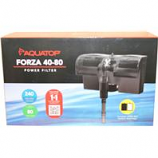 Maintain constant and stable temperatures for your aquatic creatures.. Can handle aquariums up to 25 gallons.. Easy to set and adjust.. Made from high quality insulated glass.. 100-watt.